Finding hotels or flights is already pretty easy with Google, but thanks to new changes rolling out, the process is getting even more simplistic. In a blog post that details all of the changes, Google mentions the existing ability to book hotels or flights separately. However, with the changes, everything can be done from a single page that has multiple tabs. For example, if you search for a particular city, you will see tabs for Explore, Flights, Hotels, and Your Trips. When inside of the flight tabs, you’ll select your dates for travel, and the same goes for hotels. There are filters for each search, so it’s the same experience you’d expect from the standalone Flights and Hotels services that Google offers. For that Your Trips tab, you can see all of your all your upcoming and past travel reservations from Gmail. As noted, the results shown here are private, meaning only you can see this information. 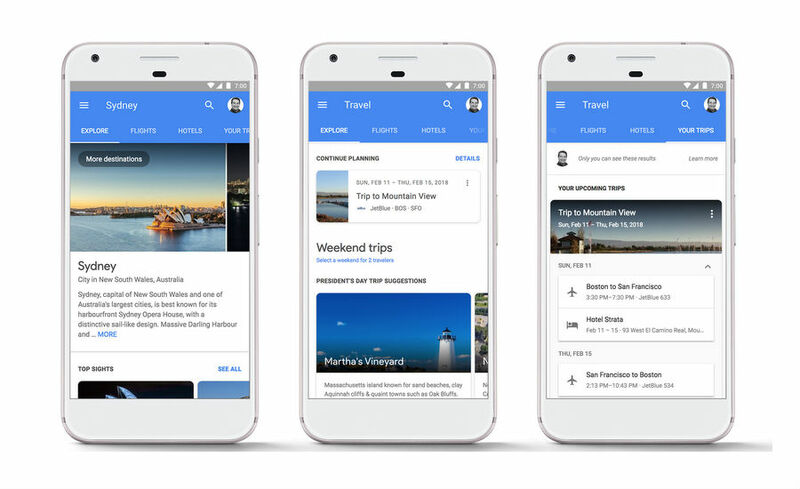 If you choose, you can email your trip reservations to friends or family right from Your Trips, but you can also make edits and access them directly offline with the Google Trips app (linked below). To wrap it up, if you want to get away some upcoming weekend, just search for a destination, then booking your flight and hotel is just a click away.